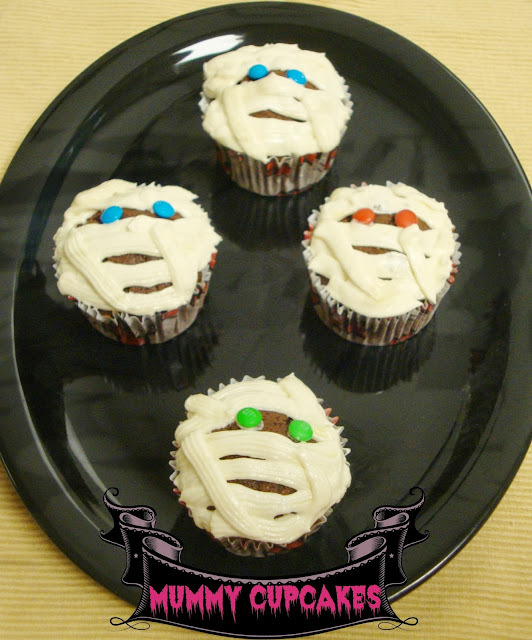 Hi friends, this Mummy Cupcakes recipe is for October month's Home Baker's Challenge. This is my second recipe for Halloween special and I really enjoyed making them. Chocolate Mummy Cupcakes with vanilla butter cream frosting is a perfect sweet treat for a Halloween party! 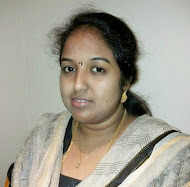 Thanks to Priya Suresh for starting the group and Nalini Suresh for hosting this month's event and challenge. To know more about Home Baker's Challenge click here. Chocolate cupcake and Vanilla butter cream frosting recipes are adapted from Joy of baking. Preheat oven to 180 deg C. Line the cups of a muffin pan with paper liners. In a medium sized bowl; sift together flour, baking powder and salt. Keep aside. Take another and bowl place the cocoa powder in it; pour boiling water over the cocoa powder and stir until smooth. Set aside to cool. Beat sugar and butter at medium speed until creamy. Add eggs one by one and beat it thoroughly. Then add vanilla essence and mix well. Mix the flour mixture into wet mixture and beat on medium until combined. Spoon the mixture into the muffin cups, filling each about 2/3 rd of a cup. Remove pan from the oven and leave it for about 2 minutes, and then transfer the muffins with their paper cups to a wire rack. Enjoy with your favourite frosting. In a large bowl; cream butter until smooth then gradually beat in sugar. Add vanilla essence and beat until light and fluffy. 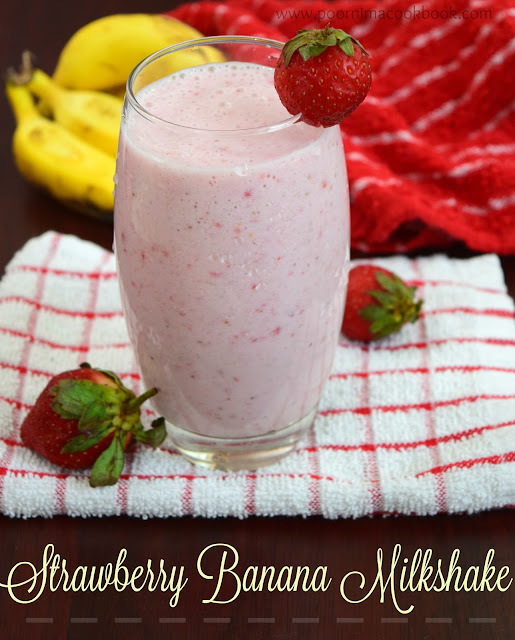 If necessary, adjust consistency with milk. Once the cupcakes are completely cooled, place the frosting in a piping bag, fitted with a basket weave tip and pipe lines back and forth on the top of each cupcake. Make sure to slightly overlap your lines so that you get the full mummy effect. Place two mini M&M's or chocolate chips for eyes on each cupcake. 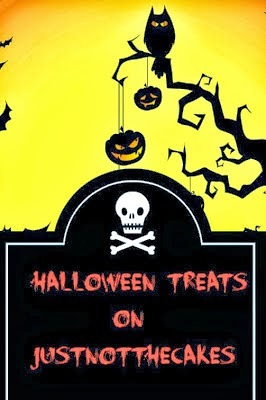 I am sending this recipe to sharanya's event- Let's Celebrate Halloween. Spooky and very cute cupcakes..You have done prefectly.. They look super cute .. and poornima it looks like you have not linked it to the linky tool. Delicious Mummy cupcakes looks perfect for halloween. wow cute mummy cupcakes :) looks so yummy and real ! !